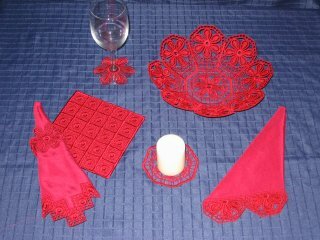 Here is the perfect match to the Floral Delight Lace Making Ensemble for your dining room. 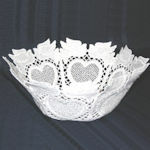 You will find in this ensemble everything you need to create 6 bowl/basket variations. 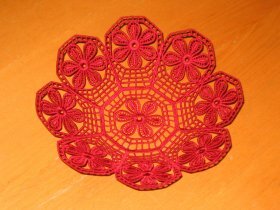 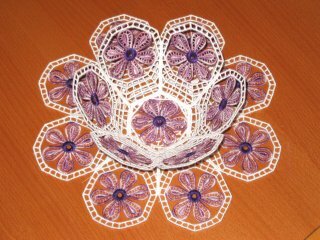 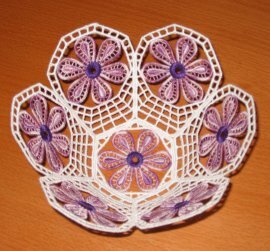 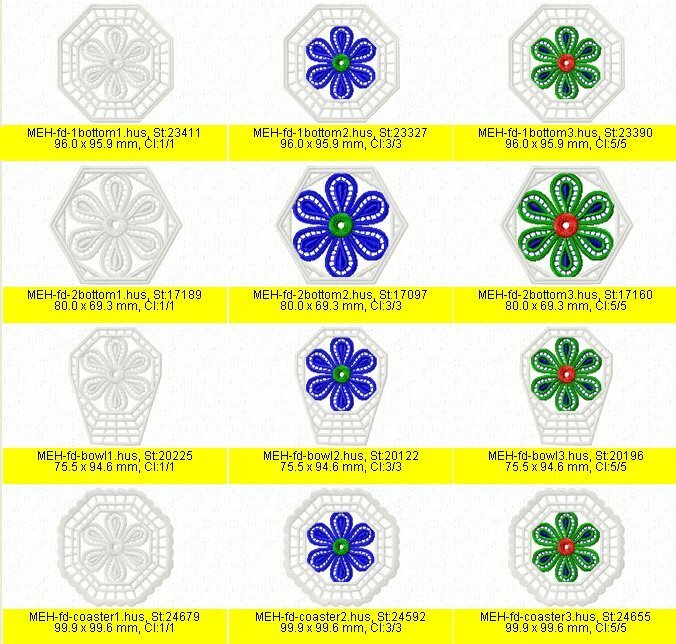 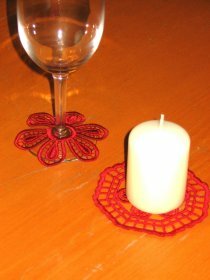 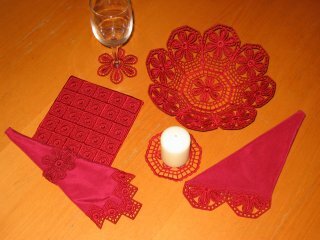 You will also be able to create wonderfully elegant coasters, doilies and wine coasters. 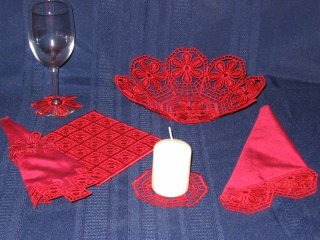 Note: Polyester thread was used for this ensemble. 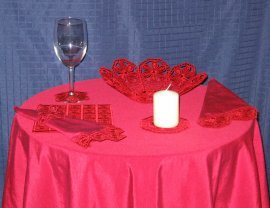 It makes the project washable, colorfast and bleach resistant. 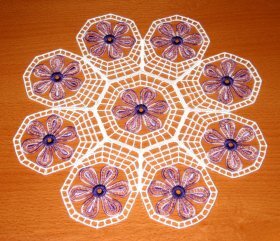 Designs were embroidered on 1 layer of Wet N Gone water soluble stabilizer and 40 weight poly thread from Floriani. 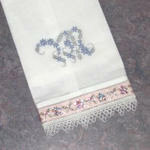 NO JUMP STITCHES in the one color designs and kept strictly to color changes in the multiple color designs. 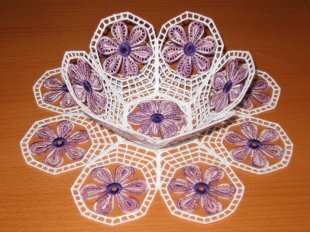 Note that the set comes with completely illustrated instructions to make these projects a pleasure for you to create. 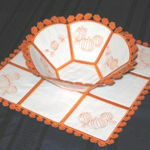 tablecloths, ponchos, purses, elegant fringe and much more.